Recently, Snapchat added a new feature to its extensive arsenal of colorful and whimsical tricks: music videos! You can now play music from your iPhone and record a video on Snapchat at the same time, creating fun, 10-second musical snaps to add to your Snapchat story. Previously, this was impossible to do because any music playing on your phone – whether it be iTunes, Spotify, or Pandora – would shut off the instant you started recording on Snapchat. This forced people to play music from an external source, which often distorted its sound and reduced the audio quality of the song. However, with this new feature, now you can create awesome, high-quality music videos to your liking. So what does this mean for independent musicians? Well, first off, it's the perfect marketing opportunity for bands or solo artists looking to get their names out there. Because Snapchat is such a popular app, especially with the young demographic, public Snapchat stories get a lot of views and are an ideal vehicle for song publicity. It's a cheap, effective way to produce a 10-second teaser of your new album and get your fans pumped for upcoming releases. You get complete control of what music is released and how you present that music to the public. This appears to be only the first step in Snapchat's grand plan to become a larger presence in the music industry. 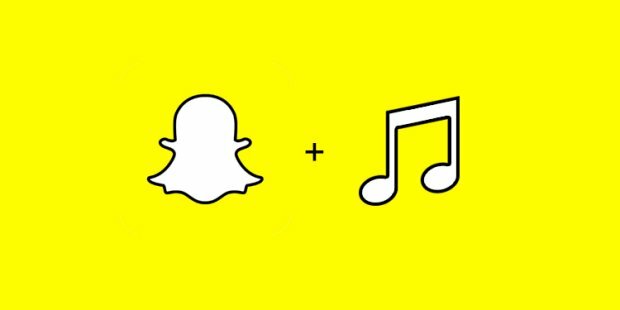 With the company planning to expand the music-playing feature in the future and rumors floating around that Snapchat CEO Evan Spiegel is looking to acquire Big Machine Records, independent artists could be presented with an unprecedented, incredibly large platform to promote their music. Spiegel has already shown a keen interest in making music a more integral part of the Snapchat experience, especially where promoting artists is concerned. In the past, Snapchat has experimented with promoting music by featuring local artists from LA (Goldroom, Vance Joy, and Strange Talk) in its promos, and then offering a redirect link to the iTunes store to buy the track after the video promo ended. Goldroom is continuing to release music videos using Snapchat as a platform. More recently, DJs and producers like Alesso, Diplo, and Skrillex have used Snapchat to great effect for teasing tracks or even releasing full music videos. As the names of big industry superstars like these draw even more people to Snapchat's music video feature, this will create an extensive audience for musicians, producing a win-win for both the quirky social media app and for independent artists. Do you use Snapchat to promote your music? Let us know in the comments! Michelle Lou is an editorial intern for Sonicbids.